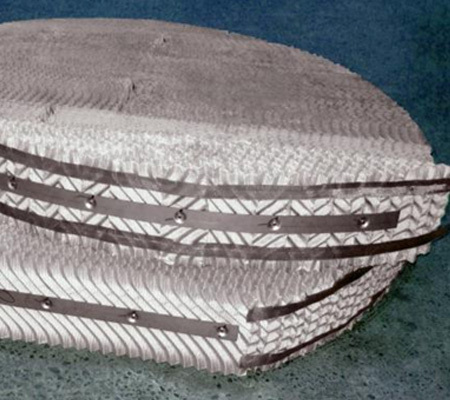 Majority of separators in the oil and gas industry work on the principle of gravity separation. Coalescers are devices which maximise liquid- liquid separation by reducing the effective distance that the dispersed phase droplets need to travel before encountering a coalescing surface. Gravity separation of oil and water is accomplished by droplets settling. A certain amount of retention time is necessary to allow a droplet to settle and be united to its bulk phase. 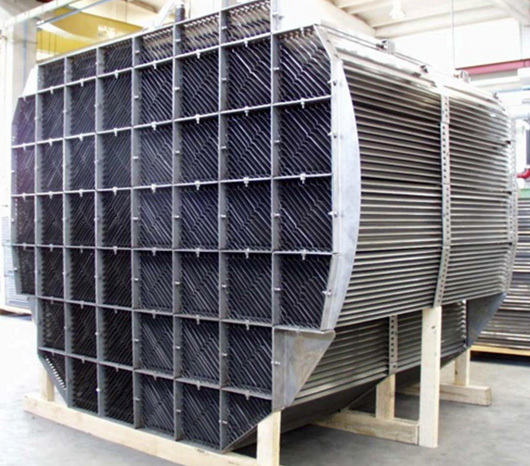 Plate pack coalescers are used in the liquid section of a separator or scrubber to optimise the degree of liquid-liquid separation. 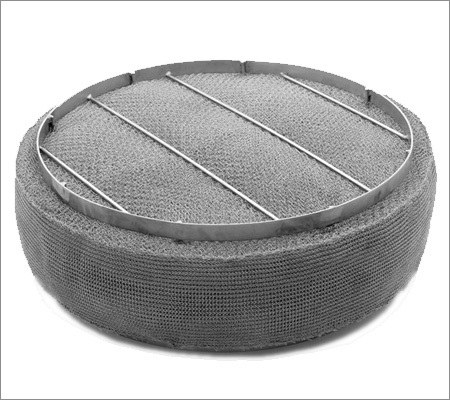 These coalescers provide excellent performance specially in applications where there is a tendency for fouling. 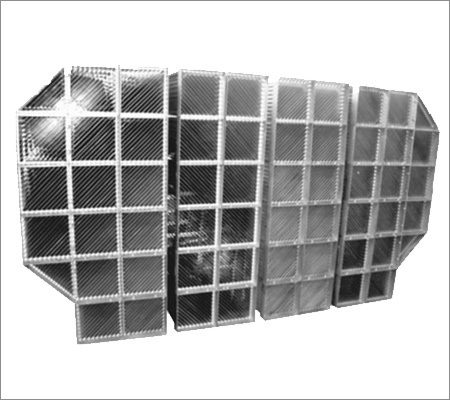 The packing is manufactured in corrugated sheets making it strong and well suited for this application. Liquid droplets directly impinge on the irregular surface allowing coalescence to take place. The larger droplets then flow either up or down through the packing and separate out into their respective phase. The coalescer is manufactured from either co-knit metal / plastic filament weave or combining layers of different mesh properties. Liquid droplets directly impinge on the fine wire surfaces allowing coalescence to take place it is usually used in cleaning service for polishing applications.